Rwanda celebrated classic vehicles for the first time at an event that was held on 27th January. The event dubbed ‘Shyuha Festival’ was held at Kicukiro, Kigali at the Integrated Polytechnic Regional Center grounds. The event incorporated classic vehicles, motorcycles, and customized cars. The primary objective was not only to showcase such great pieces of work but also bring traditional car owners together. The country also wanted to mark this celebration as is a custom in neighboring countries. 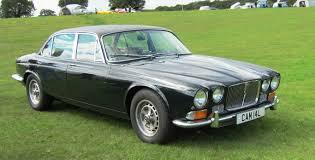 Uganda hosts Classic d’ Elegance and Uganda Vintage events while Kenya hosts the annual Nairobi Concours d’ Elegance. The Shyuha Festival was quite popular with a notable audience of curious youths. Over 40 vehicles were paraded while a motorcycle race was held to showcase the bikes. Among the most impressive classics paraded was a 1984 Honda Accord by the 63-year-old Gratiene Bizizi. This classic has a 64-kilowatt horsepower and 1830cm3 engine. Mr. Bizizi said that he bought the classic back in 1988. A 1977 Iveco was also quite eye-catching. This car contains a sleeping area, toilet, kitchen and solar power. The self-contained van is suitable for campers. Its owner, Jimmy Mugabo said that the truck was easily maintainable due to the accessibility of spares in the market. Another classic was a 1961 1500 cc Spitfire with a double carburetor and twin turbo. The 40-year-old Hassan Jamul revealed that he bought the car at the age of 17. He said that he had plans to showcase it in Uganda. Among other impressive cars was a 1988 Toyota Levin Twin Comforter, a 1982 Mercedes Benz 380sl and a 1974 Jaguar. However, Mr. Jamul was quick to note that classic cars from the 40s, 50s, 60s, and 70s were the best to display in such an event. This was contrary to the newer models from the 80s displayed at the Shyuha Festival. The regional club, Kigali Free Bikers also showcased their bikes during the event. Kigali Free Bikers has members from Kenya, Tanzania, and Rwanda. One of the members, Mr. Cedrik said that riding bikes is a lifestyle. The Shyuha Festival will be held two times, annually. However, it lacks the needed sponsor funding. Kenyans, Burundians, Tanzanians, and Ugandans are welcome to join in future Shyuha Festivals.